Hi guys, it’s Kristin from Grandma’s Chalkboard. My sweet daughter is six, and to date, she has lost six teeth. They didn’t all come out easily. Okay, let’s be honest, none of them came out easily. And when her teeth need to come out, (her mouth is a super crowded place…we’ve already done braces!) it can be a not-so-fun experience. But the one thing that makes losing a tooth worth it? A visit from the tooth fairy. And wouldn’t you know it, the tooth fairy that visits our house knows just what this little girl likes. She doesn’t want money, she wants jewelry. Because really, what little girl doesn’t like jewelry, glitter, and over-the-top cuteness!? Wrap it up in special Tooth Fairy packaging — and prepare yourself for happy squeals in the morning when your little cutie finds her very own tooth fairy dust necklace under her pillow. Trust me, you’ll feel like the best parent, er, tooth fairy, ever! And if you make several pendants all at once and stash some away, you’ll be smiling too when a tooth falls out right before bed. No worries, you’re prepared! 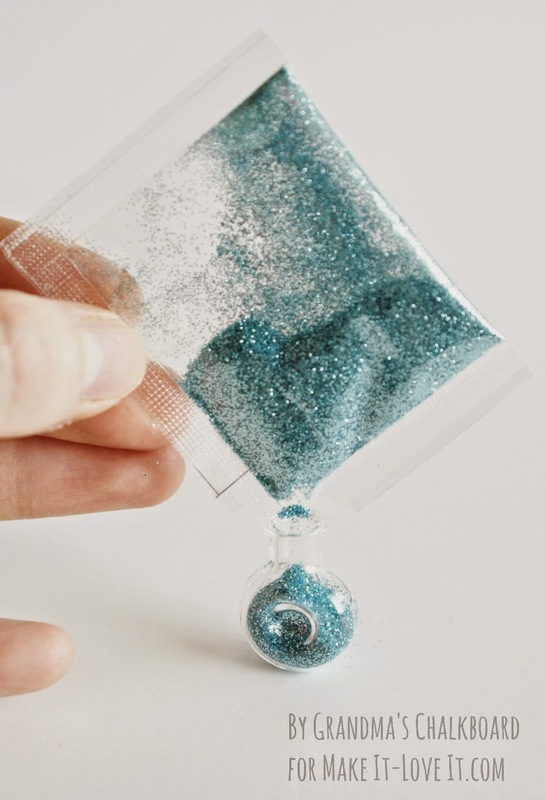 So lend the tooth fairy a tiny little hand by putting together these adorable glitter-filled ‘fairy dust’ glass vial pendants to gift to your little one. Trust me, the excited missing-teeth grins you’ll get in return will make this project worth it a thousand times over! Okay, time to share this adorable craft project with you! I purchased my glass vials in the jewelry department at Hobby Lobby and of course made sure they were on sale (if not, use their coupon, they always have one). You can also buy them on Etsy or other craft stores in the scrapbooking or miniatures section. 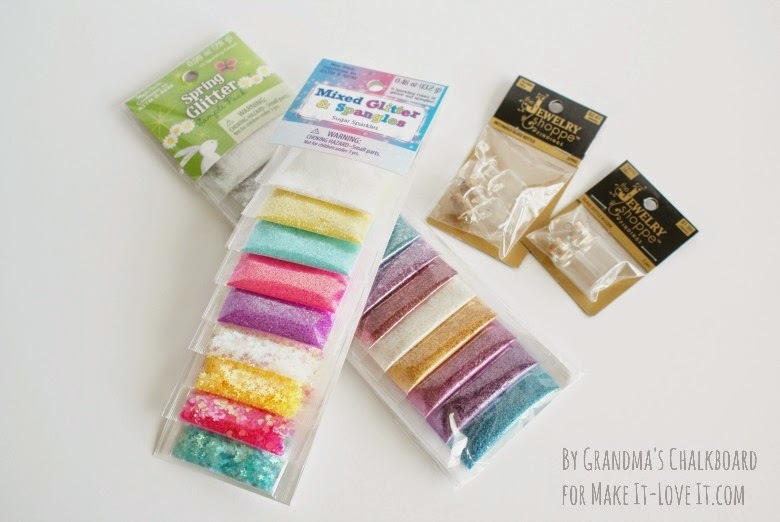 The sample packs of glitter (purchased from Joann’s) are just perfect for this project and come in so many cute colors. Isn’t that confetti-like glitter adorable!?! 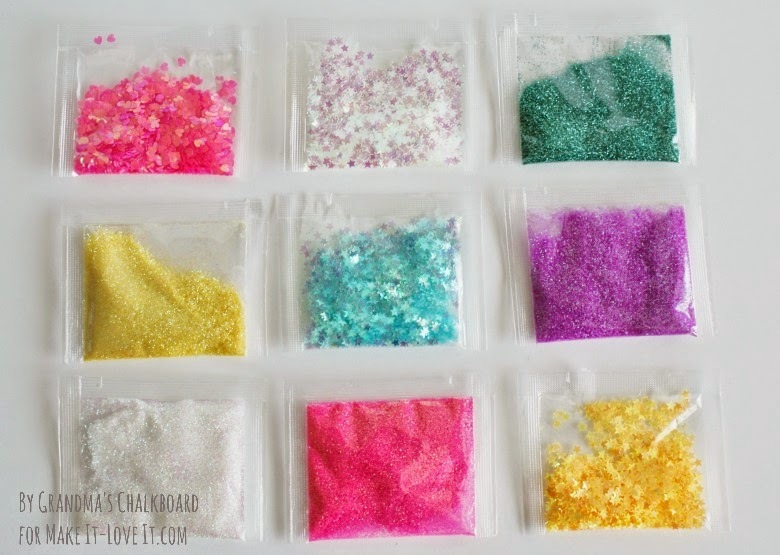 Carefully pour glitter into each vial by snipping off the corner of a glitter packet, or by using a tiny funnel to curb the mess. (Update: or you can make a quick paper funnel.) I chose to leave some space for the glitter to move around, rather than filling the vial all the way up. If your vials didn’t come with eyelet screws already put in the corks, go ahead and screw them in now. I unwound the screws from the cork, put a tiny bit of glue on the screw, then tightened it down again so the screw will stay in tight. 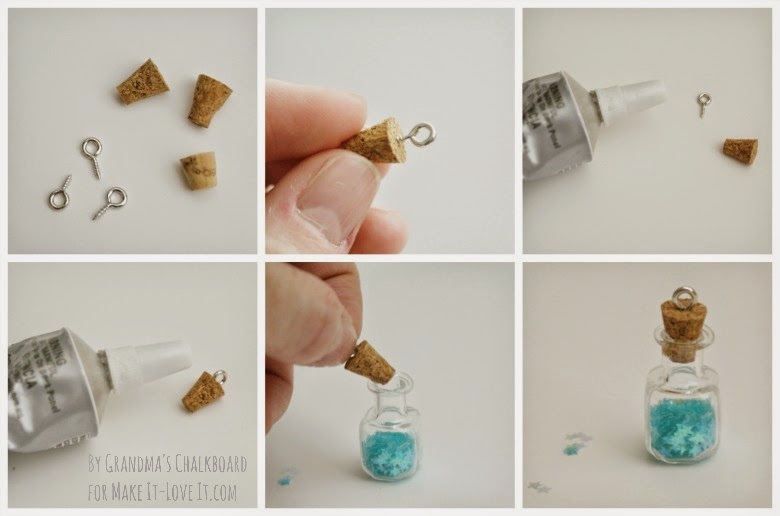 Put a little more glue on the outside of the cork, and push the cork gently into the bottle. Let the glue dry for a while so the glitter doesn’t stick to it. Now, attach the tooth fairy dust pendant to a necklace, wrap it up however you wish, and have them on hand for those when those teeth fall out. Trust me, you will have one happy child in the morning! Thank you all for letting me share this cute project with you today! Check out Kristin’s blog, her darling shop, her Facebook page, and her Pinterest boards. Soooo stinking cute! One question though, are you gluing the cork into the bottle? When it says put glue on the out side of the cork is it to glue the cork into the bottle? Just curious? My girls would want to use the dust. We have given them fairy dust before (not packaged as cute as above) but they use it when ever they are scared, nervous or need a boost for something. Thank you so much for the fantastic ideas!!! I glue the cork in the bottle because that’s how my daughter likes it. She doesn’t want her little brother wasting the fairy dust :) But I love your ideas of using it too! These are the cutest little gifts from the “tooth fairy”. Love all the different colors the glitter comes in. Do they sell tiny funnels at Hobby Lobby or JoAnns? Thanks for sharing this great idea. I can’t wait to make a few for my granddaughter. It will be a few years before she loses any teeth but good to have ready on hand. I’m not sure if they sell funnels that are that tiny, but I’ve added a quick way to make a paper funnel here: http://grandmaschalkboard.blogspot.com/2014/07/a-little-tip-for-tiny-projects.html Thanks! thank you for your quick response, I just printed out the instructions for both, the fairy-dust pendants and making the small funnel. Thanks for sharing and have a great day! Haha! I didn’t know the going rate for the tooth fairy either. :) I figured the quarter would get lost anyway but these pendants are something she absolutely treasures! My nephew gets $5.00 for his lost teeth. And my nephew and his wife are not wealthy by any means. Don’t know what they were thinking, Thats adds up to quite a lot of money x’s 20 teeth…… Oh well, I guess it’s not any of my business. But I definitely love the tooth fairy dust pendant idea. Will be making some soon—- need to go to Hobby Lobby. Too bad my sister doesn’t still work there. 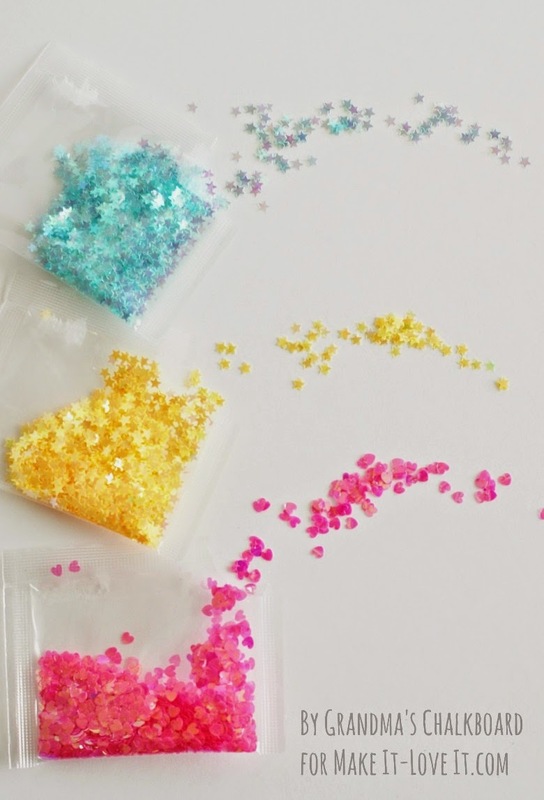 these would even be a cute take-home favor for a Tinkerbell or fairy princess birthday party. That would be so sweet! Maybe you could even come up with a story to tell the partygoers about how you got with the dust! these are just too cute! I do adore them but not nearly as much as my little girls will. I am going to look for some similar bottles preferably non glass as I can imagine they will get shattered. Thank you for the tutorial and I am going to look for a assortment of glitters as the one you found, I love the little stars. cute bottles. Where do you buy them?